As Senaida sat next to her son Virgilio, she couldn’t help but smile widely when she looked at him. In the year since his procedure, Virgilio has sported his family’s brightest smile as the young farm worker saw his lifelong dream of making friends become a reality. 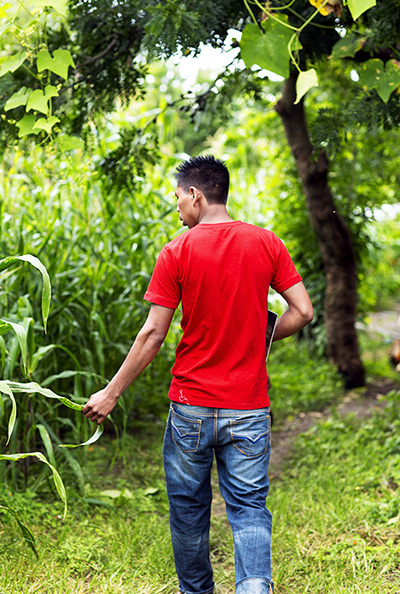 Though still quiet and reserved as a result of years of isolation and bullying due to his cleft condition, Virgilio found a new sense of confidence that enabled him to venture outside the confines of his parents’ property, which consists of wooden huts on a small plot of land surrounded by corn fields, to socialize with peers. In our society, these simple-but-essential interactions are often taken for granted. For Virgilio, each smile he shares with a friend is a small victory over the 20 years of despair in which he lived. When Senaida gave birth to Virgilio, feelings of excitement immediately gave way to hopelessness at the sight of her son’s cleft condition. It served as a painful reminder of the brief life of one of her previous babies, who died five days after birth due to a gastrointestinal abnormality. Senaida couldn’t understand why another one of her children was born with a deformity and prayed to God for an answer. People offered their explanations, saying she didn’t take vitamins or see a doctor early in pregnancy. While research continues around the causes of cleft conditions; genetics and family history, pre-existing medical conditions, poor nutrition and exposure to harmful environmental substances can affect the healthy development of a baby. From early childhood, his social options were virtually nonexistent as the family decided not to enroll him in school, fearing he would be the target of cruelty from his would-be classmates. Due to the state of extreme poverty in which the family lives, none of Virgilio’s seven living siblings advanced past primary school as uniforms, books and transport proved too expensive. Two months after Virgilio was born, Senaida’s doctor told her that surgeries were possible to repair his condition. While Virgilio was reminded that surgical options were available throughout his life, the procedures cost far beyond what the family could afford at 25,000 pesos ($1,270) per surgery. Virgilio finally learned about Operation Smile and that free surgery was possible when a relative from a nearby town saw a poster for the August 2015 medical mission to Puebla. Around the same time, a local newspaper reporter saw Virgilio and informed the Department for Family Development about his condition. Social workers from the department informed the family about the same medical mission, but Virgilio was reluctant to accept the offer for help, as an elderly neighbor misinformed him that the doctors would kill him. 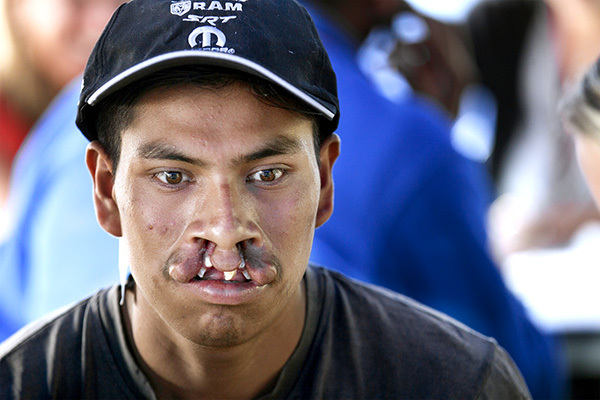 A group of Operation Smile volunteers and staff were made aware of Virgilio’s condition and ventured out to the family’s countryside home — a two-hour drive from the medical mission site at Christus Muguerza Hospital Betania Puebla — to convince him to return to with them to receive his life-changing surgery. After much persuasion, Virgilio finally mustered the courage to travel to Puebla. Previously, he thought he was the only person living with a cleft condition until he arrived at the medical mission, where he was surprised to see so many other people who looked like him. 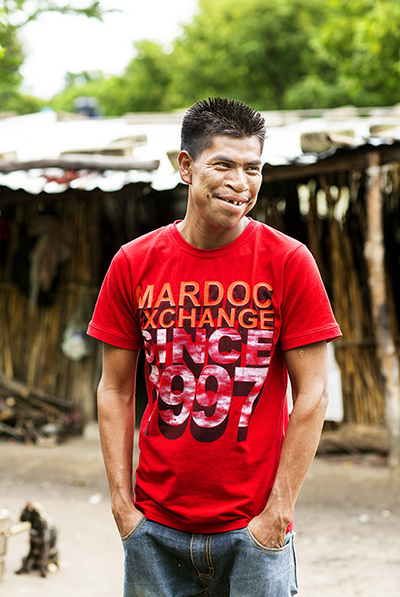 After a comprehensive health assessment deemed him fit for surgery, Operation Smile’s medical volunteers repaired his cleft lip, forever altering the trajectory of Virgilio’s life. “After surgery, looking at himself in the mirror, he had no words,” Ortiz said. “It was too much for him. His reaction was one of disbelief. It took him a while to realize that person looking back was the same person." 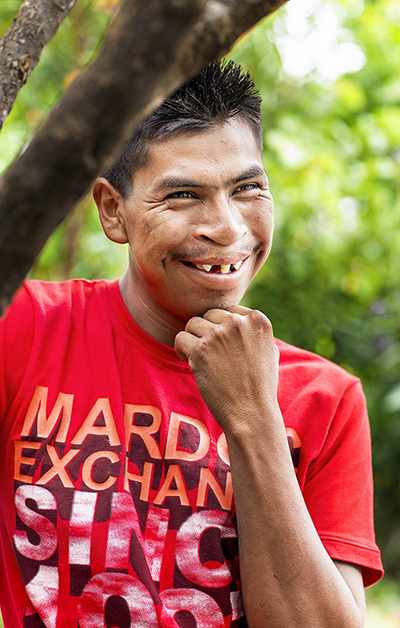 When Virgilio returned home, his family and neighbors rejoiced at sight of his new smile. Senaida said she’s seen a remarkable change in her son’s self confidence. After a year filled with establishing the first friendships of his life outside of his famiy, Virgilio’s received a second surgery that repaired his cleft palate at the August 2016 medical mission to Puebla.